Alaska Pure Sea Salt began as a mere accident and soon became a pursuit of passion. We spent years developing and fine tuning our process combining both science and artistry that eventually resulted in beautiful, light, pyramidal salt flakes. In 2007, we were happy to produce North America’s first flake sea salt. Equally delicious on both sweet and savory dishes, Alaska Pure sprinkled on food just prior to eating, heightens the flavor and adds a gentle pleasing crush that blends and melts as it hits your palate. Use less salt while cooking, yet still season your dish to your taste. Located in the coastal rain forest that reaches from Oregon to Alaska, Sitka is the wildest corner of the Pacific Northwest. 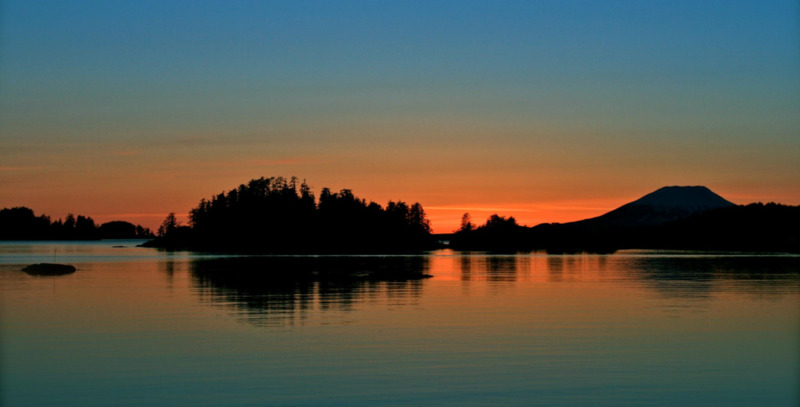 Alaska Pure Sea Salt is hand crafted from the pristine waters surrounding Sitka. These waters are the lifeblood of this isolated fishing community. Accessible only by boat or plane, Sitka relies upon the Pacific Ocean for our fish, our jobs and our identity. The waters sustain our community and its important to us that Alaska Pure Sea Salt is as extraordinary as its source. Our salts begin as sea water and nothing else is added. It’s simple and clean. Most of our infusions are hand harvested right here in Sitka. In addition to our Original Sitka Flake, we produce three other locally inspired infused salts: Alder Smoked, Wild Blueberry, and Sitka Spruce Tip. We also offer small batch and specialty infusions regularly. See our online store for availability.